Huskie Pull Together is an initiative to support the Ronald McDonald House, which provides families with children in the hospital a low-cost place to stay, eat and recharge while their loved ones are receiving the critical care that they need. During the Homecoming week, we are highlighting this community service tradition! 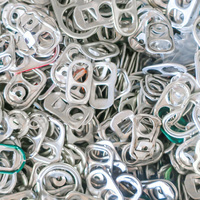 Student organizations can donate their pop tabs to SILD starting Monday October 8th- Thursday October 11th. Please bring your pop tabs, labeled with your organizations name, to the Campus Life Building 150B. Student Organizations will receive points for each ounce of pop tabs donated. SILD staff will weigh the pop tabs for you! The organizations that donate the most will receive additional points.